Two brothers living dead-end lives receive a video from a cult they used to belong to, and are persuaded to make a return visit. Only trouble is, they think it’s a death cult. Weirdly, when they finally arrive there, nobody seems to have aged or really changed at all. Is everyone living really well, are they all ghosts, or is something much weirder than your typical cult horror movie about to take place? The Endless is a brilliant followup to Justin Benson and Aaron Moorhead’s strange and engaging 2012 Resolution (2012). It’s not necessary to have seen Resolution first, but there are several links to the earlier film nestled within Endless, tying up some loose ends, though it delights more in unravelling new threads. With a knack for spreading tiny details that add up to huge realisations, it deals with the infinite but keeps it all relatably at ground level. That’s about the best you can hope for in a film tying together Lovecraftian concepts of vast, unknowable monsters, warped space and time, and strange UFO cults and meth heads living out in the back end of nowhere. There’s an uneasy feeling about the land that the cult inhabits (but they’d prefer not to be called a cult, thank you). There’s practically no jump scares here though. The creepy aspect comes down to pure existential dread, as the truth of their situation is gradually revealed. The real horror hits the viewer alongside the two brothers as they come to understand the terrifying forces at work, but its the focus on this little group of people and their reactions to the insane situation that really make us care. And I cared a lot. The two brothers have a difficult relationship but clearly look out for each other, and this emotional connection, as they struggle to decide what they want out of life, is the crux of the story. If they do decide to leave, will the strange force at work even let them go? While it’s not a typical horror, The Endless is every bit a Lovecraftian nightmare. There’s little gore either, but this film rewards a bit of patience, so if you’re ready to question your sanity, and peek at the secrets behind an eternity of time and space, then I’d recommend you dive right in. 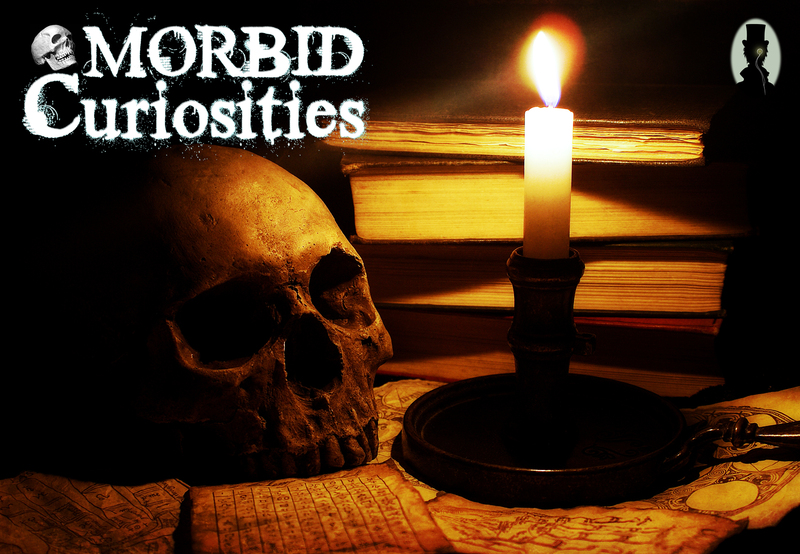 A spooky evening was had by all as The Haunted Eyeball attended Morbid Curiosities, a production based around classic horror stories, adapted by Don’t Go Into the Cellar and performed at the Art House. In fact, Harry Houdini (Jonathan Goodwin ) was to be our narrator, and he presented the evening using a rather jarring inflection. He SPOKE like this, “Ladies AND GENTLEMEN!” which was in some ways far scarier than the first act. Indeed, the HORRORS that he proclaimed would FOLLOW made us ALL the JUMPIER because of his randomly loud VOICE. OK, we are nitpicking about volume. In a larger room it would be fine, and the presenting style perfectly fit Houdini’s outlandish, earnest sense of showmanship. It drew us directly into a ghastly world of horror and mystery. After introducing himself, Houdini passed the first story to his associate, the genteel Mrs D’Odd (Amy Bullock). She described her rather tongue in cheek ghostly encounter, based on Selecting a Ghost by Sir Arthur Conan Doyle. Nailing the pomposity and the aspirations of a would-be aristocrat, this drew belly laughs and many eerie moments, all played out nicely with an excellent payoff. With one ghostly tale laid to rest (or not), Houdini returned to ponder over a horned skull, and talk of false séances that enraged him. Although very well performed, Playing with Fire by Sir Arthur Conan Doyle was simply less impressive as a story – and this is a personal reaction. Basically, when you bring unicorns into it, it all veers away from the horror we’d turned up for, and for some reason it was a little harder to follow. Although performed with gusto by ‘Houdini’, we wanted some real, gut-wrenching horror, dammit, and were on tenterhooks for the eventual appearance of anything by H P Lovecraft. Given Houdini’s presence, we already had an inkling what of one of the stories would probably be, but were wondering what the other one might be from. It turned out that both of the last two stories were by H P Lovecraft, and here the show fully hooked us again. ‘Miss Rhodes’ (Amy Bullock) gleefully told the tale of The Hound, wherein a twisted couple, whose playful games with the dead would make Leatherface blush, get a nasty surprise when they grave rob an ancient amulet. Amy Bullock clearly took delight in the monstrous side of Miss Rhodes’ character. A truly great interpretation. To our considerable delight, another Lovecraft gem followed. Of course, the presence of Harry Houdini meant we had immediately suspected that one particular story had to be told, and we were not disappointed. Under the Pyramids was bombastically presented, and vivid enough to smell the incense. First of all, thank you to Mike at the Lovecraft ezine for sending this to my inbox. Thanks for sleepless nights. Really. The Lord of Tears is coming soon, a ‘low budget horror’ directed by Lawrie Brewster, also involving David Schofield, a veteran genre actor and craggy faced genre favourite from American Werewolf In London among many, many others. Funded by Kickstarter, this has the potential to be extremely effective. A man in the Scottish Highlands is menaced by a childhood terror, which bears an uncanny resemblance to the Slenderman, which they have, improbably, made even scarier. This is a monster that really shouldn’t be that scary. It utililises the dread horror of the Slenderman, and yes, the Slenderman is already pretty unnerving. It’s the internet boogeyman meme that just won’t die, that’s bad enough. But then, egad, it makes it worse. So much worse. The trailer creates a terrific sense of dread and atmosphere. And what’s so scary about owls? Really? 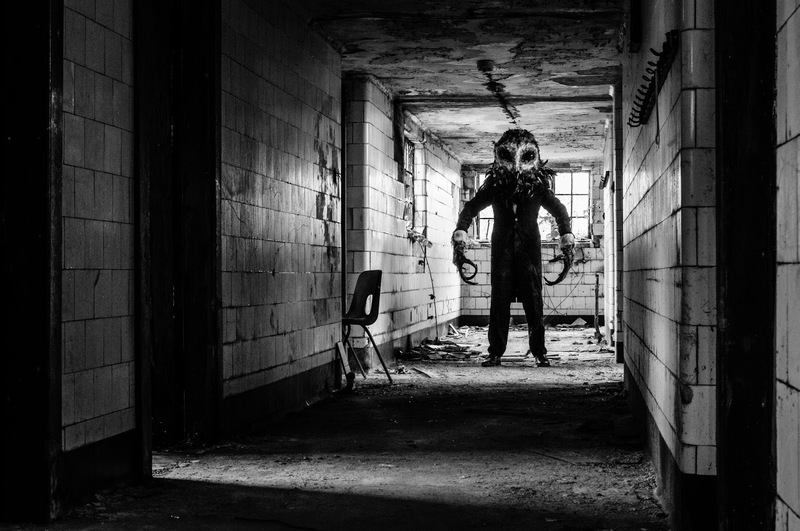 OK, then imagine yourself in your own dark hallway, or in the centre of town on a Friday night out, and what do you see peering out at you, from the end of that dark hallway, or from a shop window reflecting the night back at you? This. This monster is what you see. Hope you’re also going to be pre-ordering the blu ray, with all the goodies, and enjoying this on its release in July 2013. If not, look out for the review on this site in the summer. Thanks for the nightmares, you wonderful filmmakers. And for the rest of you horror fans – enjoy….if you dare. What happens when little children grow up? Sometimes they move on to bigger, more monstrous dreams. So what happens to the innocent icons they once dreamed of? In this case, a certain famous bear of very little brain soon discovers a few things have changed, and finding hunny (sic) is no longer his biggest priority. This was a successfully eerie take on a well-loved story. Spot-on descriptions made it possible to imagine certain famous illustrations recast in a terrifying new light. This was a strangely affecting tale about the loss of childhood innocence of a Lovecraftian source. Sadder than a sad donkey, perfectly sweet yet bitter. A past-it actor gets his mitts on a forbidden manuscript and the fabric of reality is suddenly in mortal danger. But, the show must go on, right? Lots of surprises in this take on the King in Yellow. It’s amazing anyone manages to say the lines at all before ripping off their own head. Inescapable throes of utter madness aside, this was a really great play on the notorious production. Dealing with the complex politics of the Dreamlands and beyond, a dreadful deal and revenge is sought. Epic in scope, this was an intriguing glimpse of the cruel inter-dimensional rulers in the Dreamlands, and a lesson in how to negotiate through the King in Yellow (or not), although it seemed just a little disconnected compared to the other stories here. A low key but effectively creepy tale. The new guy at the local sanitarium learns they have some inmates with a certain ‘look’, who must be kept asleep at all costs. Everything hinges on potential human error, so we’re not all screwed – yet – are we? Fun characterisation in the conversations with the other orderlies, too. Great piece. James Pratt’s ‘When Dead Gods Dream’ deserves a read by any Lovecraft fan, and any horror fan who appreciates tales told with tongue firmly in cheek. Capturing eons of dread and suspense, cutting through the dark with a sharp sense of humour, these rise above any cheap parody and make this a highly recommended collection.